VE Commercial Vehicles (VECV) will be investing Rs.400 crore to Rs.450 crore towards capacity expansion, claim industry sources. They cite that this is part of the company’s plan to invest a similar amount year-on-year towards development of new products; BSVI compliant products. Seeing a good rise in the 14- and 15-tonne segment due to buyers downgrading from 16-tonnes, the company is looking at good demand to emerge from various businesses as they re-arrange their strategies and assets to align with the GST. 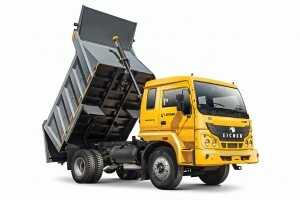 In the 14- and 15-tonne, VECV is claimed to enjoy a good demand for its Pro 1000 series and Pro 3000 series trucks from ecommerce companies among others. Sources draw attention to the company having a slew of products in the 5- to 16-tonne GVW. These product offerings are also expected to help the company find a strong foothold in the rising last mile connectivity market. VECV recorded 12.5 per cent growth in FY2016-17 by selling over 58,000 units as against the sale of 52,000 units in FY2015-16. The industry grew at four-per cent. Experiencing improvement in all the segments, and exports in particular, VECV, through capacity expansion, will continue to have products across every price point and application areas. It will be able to address every customer need too, with a wide range of engines on offer.